Strokes and heart attacks are a significant risk at menopause, but combining the protection of bioidentical natural progesterone with B vitamins is a winning combination. Several of our contributors in their articles have mentioned the risks to women of stroke and heart attacks at menopause. Patrick Holford in particular has written on the importance of lowering the circulating levels of the non-protein amino acid known as homocysteine in relation to overall health and in particular to heart disease. Bioidentical natural progesterone is known to be protective against heart disease as one of its function is to balance the effects of oestrogen in the body so that this risk is minimised. Now a study published in the online journal Clinical Nutrition has shown that B vitamin supplementation provides a significant protective effect on stroke by independently lowering levels of homocysteine. Researchers from both Europe and China joined forces to analyse nineteen separate studies with follow-up periods ranging between 6 and 85 months, including dosages of folic acid with or without vitamin B6 and B12. They found that there was a 12 percent lowered risk of suffering the effects of a stroke in the groups taking B vitamins when compared to a placebo group. A second separate body of research was presented at the International Stroke Conference on findings from the Heart Outcomes Prevention Evaluation 2 trial of more than 5,500 men and women with heart disease. Participants were assigned to a daily regimen of either B vitamins or placebo pills for five years. The results here were even more impressive as they showed that people who took the vitamins were 25% less likely to suffer a stroke over the study period, compared to those who took a placebo. In addition, it was seen that there was also a lowering of stroke risk for those who had already suffered a first stroke. In this study, participants took high or low-dose B vitamins, specifically folate (folic acid), vitamin B12, and vitamin B6 for a period of two years. Those taking high doses of the B vitamins lowered the occurrence of a second stroke by twenty percent. Supplementing for heart health makes very good sense for menopausal women. In addition to the protective aspects of progesterone and specific B vitamin formulas, it is important to include plenty of food sources for the B vitamins. 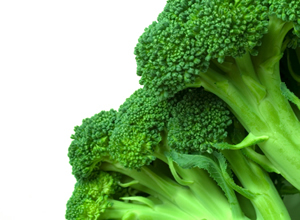 These are chiefly found in leafy green vegetables, broccoli, kale, cauliflower and almonds. Mar we can’t comment without knowing what the dosage of your bi-est cream is as some are quite high, but yes oestrogen is indicated for weight gain but if you are using Serenity progesterone to balance it it will be less likely. Certainly try using it slowly, but ultimately you will need the full dose so you will need to be aware of how you are responding and adjust the dose if needed, or you could use 20-1 which is a combination cream with the majority ingredient of progesterone and a small amount of two natural oestrogens. Hi there. Im about to start using a cream (Biest). I already rub biohormone cream of progesterone twice a day. I heard that biest can make you put weight on, and I quite concerned about this. Can I rub it little by little, like on alternative days (only once a day every two days) to make my body to get used to it? The technical name for this is hyodphierrsis. In primary hyodphierrsis, there is no underlying cause but it is known that it seems to run in families. In secondary hyperhydrosis, it has a cause and is just one symptom of a more significant problem. Some of the causes are nothing to be concerned about but you should talk to your physician so that he can examine you and take a history. Let a professional decide if this warrants further investigation. Tests would depend on the condition that he/she thinks might be indicated by other symptoms or recent injury.